Mark & Robb missed out on being league champions by 0.002%. Tough luck, but they are rewarded with a 2 seed and their own bracket. 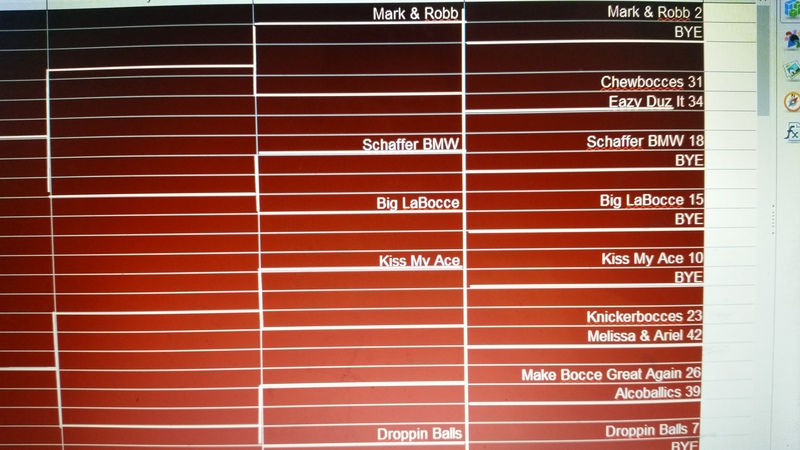 Congrats to Schaffer BMW, Big LaBocce, Kiss My Ace, and Droppin Balls for earning byes.